If you have hypoglycemia (low blood sugar), you know about the importance of keeping blood sugar levels stable throughout the day. Vitamins for hypoglycemia may help maintain normal blood sugar levels, leading to symptom control, increased energy and overall good health. When blood sugar drops due to illness, certain medications, poor diet or other factors, the result may be hypoglycemia. Taking vitamins or increasing your intake of foods containing specific vitamins may help the body combat these factors and maintain optimum blood sugar levels. Chromium is an important vitamin to consider when dealing with hypoglycemia. The University of Maryland Medical Center's (UMM) website states that chromium is a trace mineral useful for maintaining proper insulin, a hormone in the body that changes sugar and other foods into energy. UMM also lists chromium as a supplement for hypoglycemia due to its ability to help regulate blood sugar levels. In addition, an abstract on the National Institute of Health's (PubMed) website states that chromium helps hypoglycemia and other blood sugar related conditions with no obvious effects. However, UMM indicates that, in some cases, chromium may lower blood sugar levels, interact with certain medications or worsen depression and anxiety. As a result, it's important to consult your doctor before using this supplement. Some types of vitamin B may help control hypoglycemia. Vitamin B6 (pyridoxine) may help protect brain cell damage caused by hypoglycemia. B3 (niacin) may help prevent blood sugar levels from falling too low in people with hypoglycemia. The vitamins also help you to effectively metabolize glucose and carbohydrates and help your metabolism overall. When adequate amounts of these minerals cannot be obtained through foods, you can find them in a well-rounded multivitamin or B-Complex supplement. Alpha-alanine is a non-essential amino acid. This means it's an amino acid that the body can make on its own. WebMD states that research shows taking alpha-alanine can help raise blood sugar levels that have dropped too low due to too much insulin. In addition, the amino acid may help prevent blood sugar drops at night in people with type 1 diabetes. For preventing low blood sugar at night in type 1 diabetics: 40 grams of alpha-alanine in combination with 10 grams of glucose. While hypoglycemia can often be helped by making diet and lifestyle changes, it can be challenging to get the nutrients necessary to control low blood sugar through food alone. 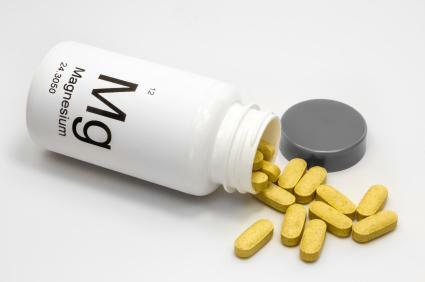 Vitamin supplements can help fill any dietary gaps. To avoid unwanted side effects or potential drug interactions, it's critical to talk to your doctor before taking vitamin supplements to treat hypoglycemia or any health condition.